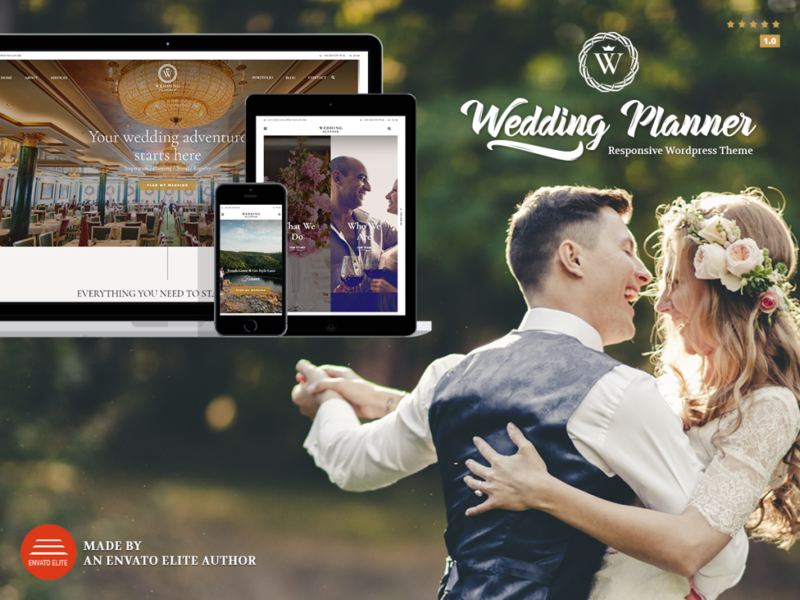 The Wedding Planner is Responsive WordPress theme well-suited for wedding planner websites. Modern, elegant and creative theme for wedding and engagement event. The theme comes with a gorgeous design that is great to showcase for couples who want to create their own wedding website. Wedding Planner is a powerful tool to help your brand grow even more. With amazing features that are simple and easy to use. Build elegant wedding sites without code knowledge. Use our demo layouts or create your own visually different experience using page builder and feature-rich backend. Partial design elements included as PSD files. Custom Page Titles – provides ability to add different page title contents in to the pages.